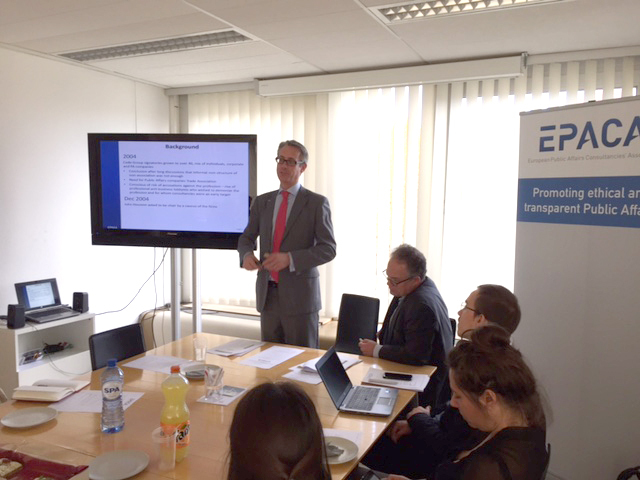 Brussels – 27 October – On 27 October, the European Public Affairs Consultancies’ Association (EPACA) hosted an Ethics in Practice Workshop on the EPACA code of conduct and guidelines. EPACA holds a yearly event on the code which is the backbone of the organization. Karl Isaksson, Chairman of EPACA, gave the opening remarks by providing the history of the organization and the origins of the EPACA code. Worth noticing is that it was the industry who took the initiative 20 years ago in order to set some basics rules to how lobbying and public affairs work should be conducted. This was followed by a presentation, which explained the different parts of the EPACA code of conduct and its guidelines, including the most recent changes. The code consists of three main pillars: transparency, integrity, and confidentiality. The EPACA Charter is the next step forward to ensure that members apply the highest ethical standards in their dealings with all stakeholders. The discussion with participants from the workshop focused on how EPACA is working hard to make sure that its code of conduct is effective, clear and meets the needs of a rapidly evolving profession in the digital age. The audience was made up of various representatives from public affairs consulting and communications firms who are members of EPACA.